Champion Sports Official Lacrosse Nets offer unparalleled durability. 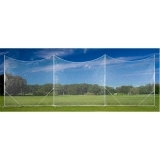 This 3mm weather treated net features official size, coated nylon mesh, is a great choice for beginner to competition level players, and is perfect for all weather, year round play. Champion Sports Official Lacrosse Nets offer unparalleled durability. 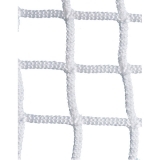 This tournament quality 4mm net features official size square nylon mesh, and is a great choice for beginner to competition level lacrosse players. Champion Sports Official Lacrosse Nets offer unparalleled durability. 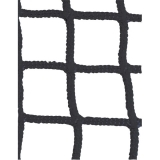 This tournament quality 5mm net features official size square nylon mesh, and is a great choice for beginner to competition level lacrosse players. Champion Sports Official Lacrosse Nets offer unparalleled durability. 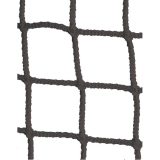 This tournament quality 6mm net features official size square nylon mesh, and is a great choice for beginner to competition level lacrosse players. Champion Sports Official Lacrosse Nets offer unparalleled durability. 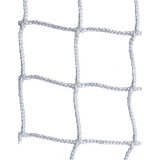 This 6mm weather treated net features official size, coated nylon mesh, is a great choice for beginner to competition level players, and is perfect for all weather, year round play. 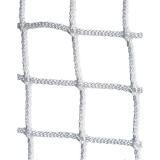 The Champion Sports Backstop Net is designed to catch stray balls. The backstop stands on its own with sturdy construction T-bars, and no need for tie downs! 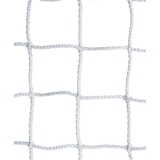 Use this 2.5mm net as a barrier for any sport to practice more and chase less! Practice your shots or get a game going in your own backyard with the Champion Sports Backyard Lacrosse Goal. 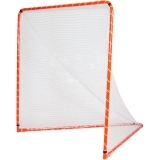 This official game size goal is made of heavy-duty, orange steel tubing, and comes with 2.3mm braided polyethylene netting. The net attaches in seconds thanks to Velcro® straps. Perfect for backyard play and younger players! Practice your shots or get a game going in your own backyard with the Champion Sports Backyard Lacrosse Goal. 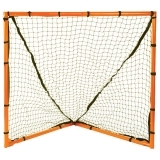 This 4' x 4' size goal is made of heavy-duty, orange steel tubing, and comes with 2.3mm braided polyethylene netting. The net attaches in seconds thanks to Velcro® straps. This is the perfect goal for recreational games and younger players!